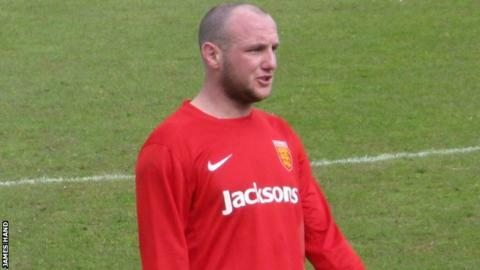 Jersey captain Luke Watson says his side will lose the Muratti against Guernsey if they repeat their 'sloppy' showing in their final warm-up game. They beat an Essex and Suffolk Border League side 5-2, their third successive friendly victory. "We were quite poor at times," Watson told BBC Radio Jersey. "Whereas we could get away with it today, next week we definitely won't be able to get away with the sloppy things that we were doing at times." Jersey, who are managed by former Aston Villa and Leicester City boss Brian Little, ended a run of three successive defeats by Guernsey when they beat them 3-2 at Footes Lane 12 months ago. Guernsey go into the match as reigning Island Games gold medallists and play in Isthmian League Division One South. "I wouldn't say I'm confident, I'm realistic," said Watson, who was set for a transfer to Guernsey FC earlier this season. "For us to beat Guernsey, I've said it for the past few years since Guernsey FC's been formed, they've got to have an off day and we've got to play above the level we're used to playing at for us to cause an upset. "It happened last year, I'd love it to happen again, but I'm realistic and they're definitely going into it as favourites and rightly so, but I can guarantee that we won't stop trying."